The Baku Crystal Hall is nearly complete! The venue for the 2012 Eurovision Song Contest, The Crystal Hall, is nearly finished! The brand new arena, built specifically for Eurovision, is a testament to how seriously Azerbaijan are viewing the contest. It certainly looks impressive so far! The Buranovskiye Babushki are certainly capturing the attention of the mainstream UK press. Could it be that they're gaining momentum? Baltic Tigers are back but are they ready for the challenges ahead? It'll either win by a mile or sink without a trace! The politics of Eurovision is heating up after Armenia’s withdrawal from the 2012 contest. After initially confirming their participation in the event, the country has decided not to send a delegation to Baku after all. Not a huge surprise. Armenia and Azerbaijan have had a difficult relationship in Eurovision not to mention on the world stage. Azeri law forbids citizens of Armenia to enter the country so an Armenian delegation was never going to be a particularly welcome one in some circles. Even if they had been given extra security there would have still been an element of risk involved. Was this decision entirely pragmatic though? Why did they initially apply to take part in the first place? Could it be a case of Armenia trying to "get one over" on Azerbaijan? As the Soviet Union crumbled an explosion of national questions emerged from Vilnius to Vladivostok. Campaigns for independence emerged in the Baltic States whilst internal divisions came to the fore within the Russian Federation itself. 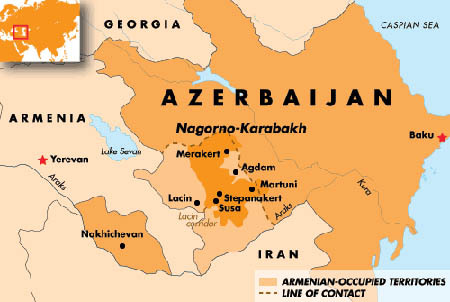 Nagorno-Karabakh was an autonomous oblast within the Azeri Soviet Socialist Republic with a majority Armenian population. 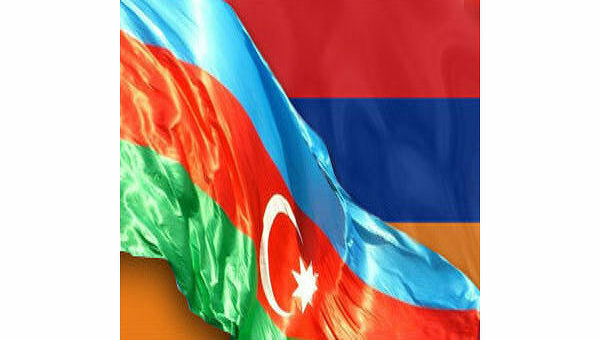 By the end of the 1980s there were movements from within the territory to secede from Azerbaijan and unite with Armenia. A referendum in favour of this was returned, of which the Azeri population boycotted the vote. By 1991 the conflict had escalated into a full-scale war which saw thousands killed, wounded and displaced. An uneasy ceasefire was declared in 1994 leaving the territory in the hands of Armenian forces although with neither side officially backing down, Nagorno-Karabakh remains de jure part of the Republic of Azerbaijan. 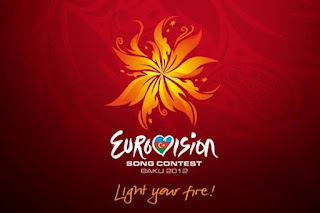 This conflict has been reflected in the Eurovision Song Contest since Armenia first entered in 2006 and Azerbaijan in 2008. In 2006 the Armenian singer, Andre, had his place of birth listed as “Nagorno-Karabakh” on his profile. After complaints from the Azeri media this section of the singer’s biography was removed. In 2009 a series of disputes between Armenia and Azerbaijan unfolded throughout the live broadcasts of the semi-finals and final. During the semi-finals, an introductory “postcard” leading into the Armenian performance depicted, amongst other monuments, a statue located in Stepanakert, capital city of the unrecognized Nagorno-Karabakh Republic. The delegation from Azerbaijan complained to the EBU that the video clip was unacceptable based on the fact that Nagorno-Karabakh is officially a part of Azerbaijan, and it was subsequently edited out for the broadcast of the final. In retaliation, the presenter of the Armenian votes held up a clipboard with the monument’s picture on it multiple times as she read off the votes. In the background a screen in the capital’s main square could also be seen to display the disputed monument. In August 2009 the BBC reported that several people had been questioned in Azerbaijan after their votes for Armenia were traced by mobile phone service providers. According to the BBC “one man was accused of being unpatriotic and a “potential security threat” after he sent a text backing Armenia’s song […] the Azerbaijani authorities said people had merely been invited to explain why they voted for Armenia” (BBC News, 18 August 2009). The issue was investigated by the EBU and whilst they found no evidence to pursue the affair, a clause preventing telecom communication providers from disclosing personal information was added to the rules of the contest. Armenia and Azerbaijan are not the only countries to have had political disputes via the Eurovision Song Contest. Georgia initially refused to take part in Eurovision in Moscow in 2009 as a result of the war with Russia in South Ossetia in August 2008. Other countries including the Baltic States tentatively considered boycotting the event as a protest at what they saw as Russian aggression. However by early 2009 Georgia confirmed their participation in the event. 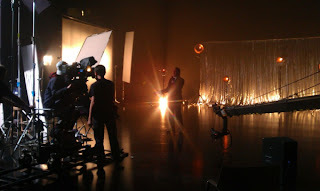 However the song, “We Don’t Wanna Put In”, was largely seen as a swipe at Russian Prime Minister Vladimir Putin and deemed to the “too political” by the EBU. 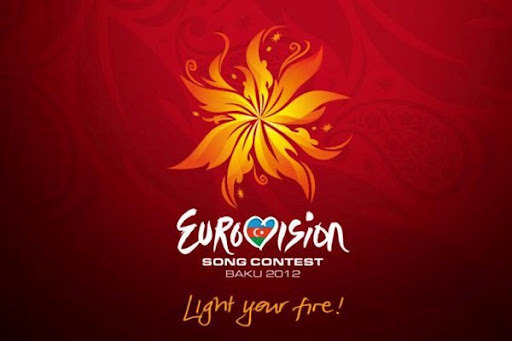 The Georgian broadcasting authorities were asked to change the lyrics of the song or submit a different entry. The Georgian Public Broadcaster declined to do this and Georgia therefore did not take part that year. Groups such as Amnesty International allege that there are widespread human rights abuses occurring in Azerbaijan. Yesterday The Observer reported that Iceland is considering pulling out of the competition and that there have been similar calls in other countries too. However not everyone is so dogmatic, others such as Emin Milli, an Azeri blogger see Eurovision as an opportunity for Azerbaijan’s civil society. The spotlight is going to be on Azerbaijan as it prepares to host one of the biggest live events in the world. According to the EBU, the national broadcaster of Azerbaijan, İctimai Television has stated that freedom of the press and freedom of expression will be upheld in the country. With this come opportunities for dialogue which is surely a good thing? All things considered, I didn’t really expect Armenia to sing in Baku. I did however think that they might “do a Georgia” and enter a song which could perhaps be read as a political jibe. They haven’t done that, instead they have quietly walked away. The EBU have expressed their regret over this decision and it’s an unfortunate one for many reasons. Eurovision was created to unite fractured European nations through song. It seems that in this case, Joy Fleming’s 1975 mantra is not true; a song can’t always build a bridge.